2 part Anti graffiti system. Excellent adhesion. Water-based formulation. 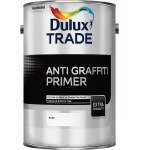 Dulux Trade Anti Graffiti Primer is part 1 of a 2 part system comprising of a primer and finish. 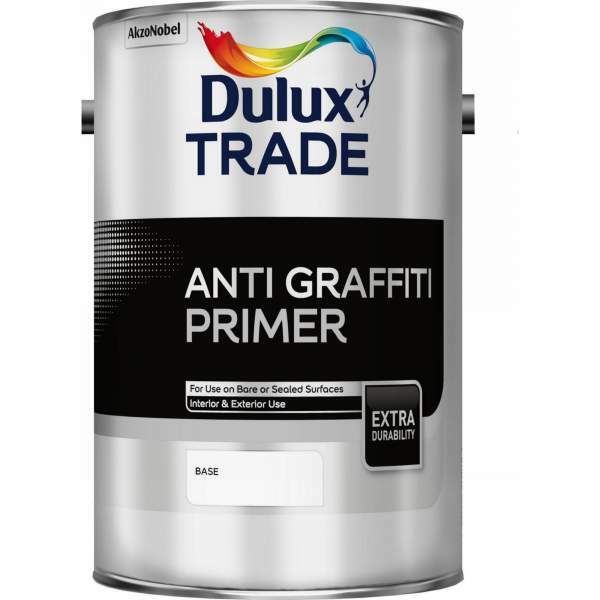 Provides excellent adhesion on difficult surfaces for the Dulux Trade Anti Graffiti finish. A high performance water-based paint that is resistant to repeated washing, steamcleaning and solvent cleaning. Can be used where graffiti is a problem or as a hygienic coating e.g. hospitals, industrial kitchens and food and drink processing industries. Minimum 16 hours and maximum 7 days on recoat.